They don’t call it the heartbreak grape for nothing. Numerous clones, various mutations and countless synonyms over the past 1000 years or so have made it a difficult family tree to follow. What is certain however, is this low-yielding, early budding, early ripening grape appreciates calcareous-clay and limestone soils and cool-moderate temperate climates. The heartbreak nickname also references this delicate grape’s susceptibility to mildews, botrytis and viruses. But in this fine tuned grape’s delicacy also lies its strength. Fewer grapes can transmit terroir like this one, expressing the slightest change in soil and vintage, especially in Burgundy where it rules the Côte-d'Or alongside chardonnay. In non-interventionist hands, pinot noir provides a sincere fingerprint of time. Though it varies wildly depending on where it is grown, the grape shows characteristic cherry, raspberry, strawberry fruit, and earthy, autumn mushroom notes. Most are lighter in hue, higher in acidity and have low-moderate (easy-drinking) tannins. Select Burgundies can be among the priciest wines in the world, and can age for decades. But these are rare - there is much more pinot noir grown in Champange than Burgundy, where it is a major component of the blend and proves its chameleon powers. 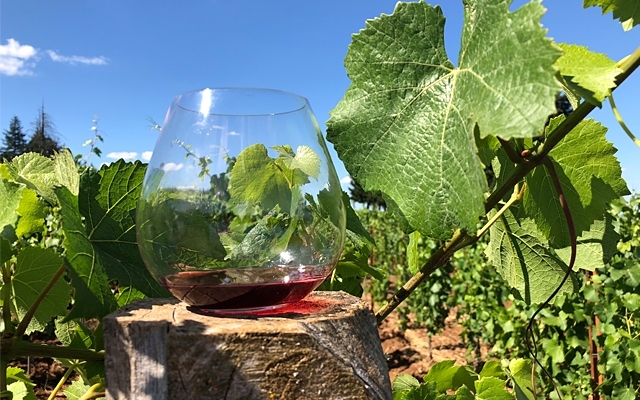 In BC, pinot noir is the second red grape by acerage planted, and grown more rapidly in terms of acreage (79% between 2006 and 2014) than any other widely planted red grape. Here are our Top 10 BC pinot noir red wines tasted over the past few months.